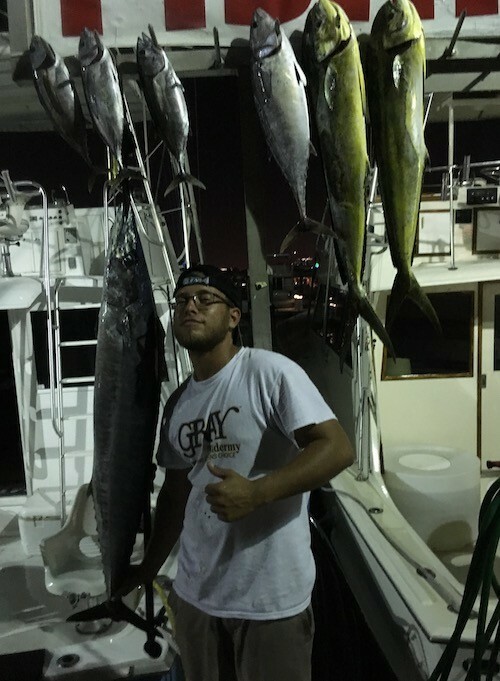 Today we got a Fort Lauderdale fishing trip at the last second with John and one of his good friends (did not get his name)! The weather was a nice as it gets here in Ft.Lauderdale and the fish were biting. We ended up with a bonitos a few small black fin tunas a couple real nice Mahia Mahia and a 23-pound Wahoo.